So for most of you it was payday yesterday and it’s the weekend, so what better way to spend it than shopping online? 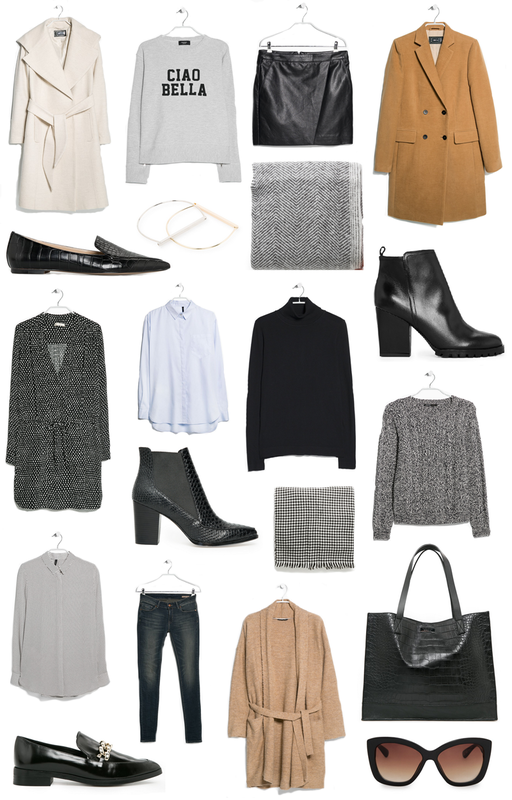 Mango have a crazy 30% absolutely everything this weekend, so I put together a little wishlist of my top picks for the store. I already picked up a few bits myself, mainly this perfect leather jacket, plus the roll neck above and the herringbone scarf. So excited to get them and now I’m on a spending ban from now until November, pretty much. Sorry bank account, promise I’ll save for London. So, I hope you like my little selection above. The camel coat is pretty perfect, as is the cream belted number which I came this close to buying. I can’t get over how nice the chain loafers and snake print boots are too, ideal autumn shoes? I think so. The ciao bella jumper would look lovely with a white shirt underneath and those skinny jeans, maybe with the houndstooth scarf (if you missed out on the Zara one last year…) thrown over the top and the snake print bag to finish it off. Oh yes. Mango have some awesome pieces in right now and they’re all reasonably priced too. That black roll neck is only £7 with discount, The cost of your standard lunch at Pret – bargain! Happy shopping and let me know what you’d get?